It matters little how many Mayan ruins you have visited, how long you’ve been touring Central America, or how many times you’ve been to Honduras: the ancient ruins of Copan are simply a must-see. Even long-term travellers in the region, who often fall victim to Maya-ruin-exhaustion, claim that this is the one site no visitor to Central America should ever miss. The impeccable autistics at Chichen Itza, and the sheer colossal size of Uxmal –both highlights of our Mayan Adventure in Style tour – will no doubt leave you flabbergasted. Yet if you want to see, feel and experience the heart and soul of Mayan culture, there’s no better place than Copan. The intricate carving details, and the incredible preservation of the ruins bring Mayan culture to life more so here than anywhere else. Endless hieroglyphs tell fascinating stories, detailed carvings, sculptures, and stelae are impressively detailed and immaculately preserved. Whilst detailed guided tours are needed at other ruin sites, even to simply imagine the original designs and the stories they told, at Copan you need not imagine. You see everything, in all its splendour. You can discover more details here than in any other ancient Central American city. This, coupled with the fact that Copan is one of the ‘quieter’ UNESCO-listed attractions in the region, makes it a splendidly rewarding site to visit. Ancient Mayan Ruins in Copan. Photo credit: Shutterstock. Built along the western shores of the Copan River, among a rugged terrain on the border between Honduras and Guatemala, Copan was at the southernmost reaches of the Mayan Empire. 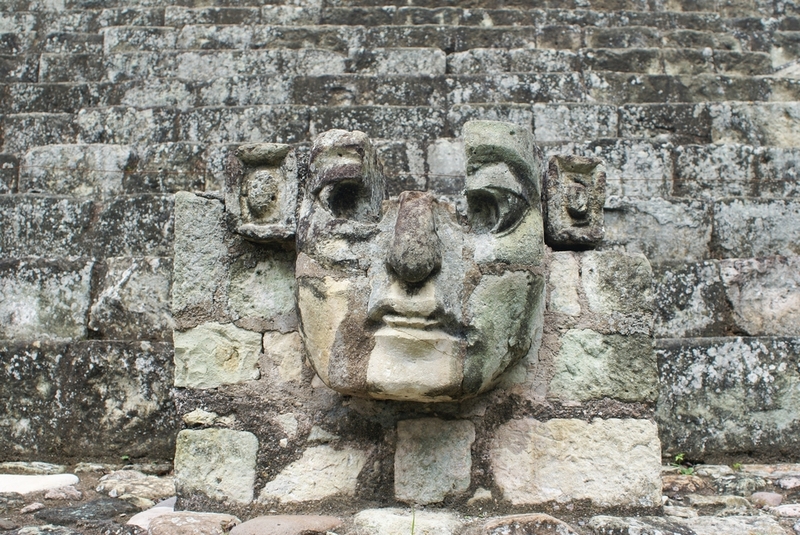 Believed to be the Mayan civilization’s most prominent royal city of all, Copan was inhabited for 2,000 years and was the eminent capital between the 5th and 9th centuries AD. What started as a humble agricultural settlement grew to be the epicentre of the prominent civilization for centuries before being completely abandoned 800 years ago. At its peak, in what is known as the Mayan ‘classical period’, Xukpi, as the city was known, was home for more than 20,000 people. Spreading out over an area of 250 acres, Copan consisted of residential outskirts and central stone temples, temples, plazas and even a courtyard (known as tlachtli) where residents played pok-ta-pok, an ancient ball game – a hybrid between football and basketball if you will – which was ritually played throughout Mesoamerica. The heart, nowadays known as the Acropolis, was a raised platform in the centre of the city. The architectural marvels here, and the intricate detailing on the Hieroglyphic Stairway, walls and stelae, point to the immense importance of the site for the Mayans, who are believed to be the best written ancient civilization in the entire continent. 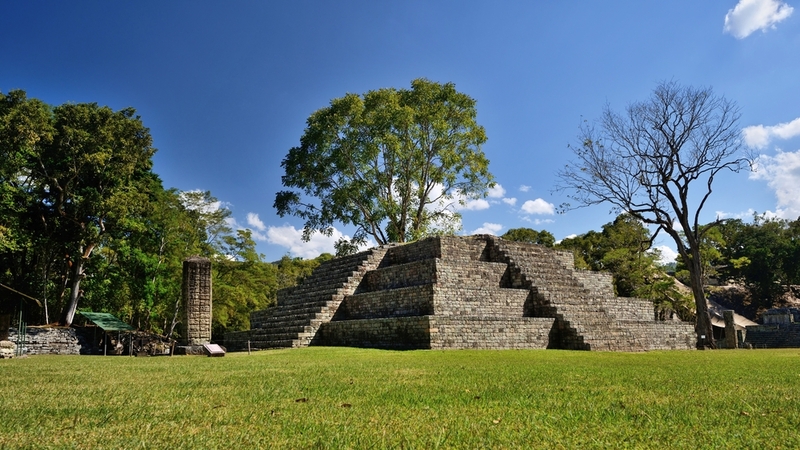 Copan is rich in texts and drawings, which is something of a rare find in pre-Columbian archaeological sites. Advanced and accomplished, the astronomers who resided in Copan built the most accurate solar calendar of their era. The rulers of Copan oversaw a vast kingdom for centuries, right up until what is now known as the great Mayan collapse; a reversal of fortunes of this powerful empire which saw all of its major cities – including Copan – simply abandoned. The social, economic and political importance of the city was only ever really understood after extensive studies and translations of the texts of Copan were carried out, in the first half of the 20th centuries. Ancient Mayan Temple in Copan. Photo credit: shutterstock. In today’s age, it is almost unthinkable to know that ancient Mayan books and texts were destroyed by Spanish conquerors as they made their devastating way through Latin America. Yet luckily, a great majority of the carvings and hieroglyphs at Copan were left undisturbed. First discovered and explored by Europeans in the 1500s, and again in the 1800s, it wasn’t until the 1930s that serious restoration work began. It took four decades to decipher the Mayan inscriptions but, technically speaking, the city has enjoyed Western attention for over 500 years, this being the reason so much is known of the city, its importance and its inhabitants. Since the mid-19th century, when the first incredible photos began circulating worldwide, the archaeological world has been totally captivated and enamoured by Copan. Some of the most prominent archaeologists and anthropologists of our time literally elbowed their way into a stint working here, including William Sanders and Gordon Willey, both renowned for their extensive work researching the ancient cultures of Mesoamerica. 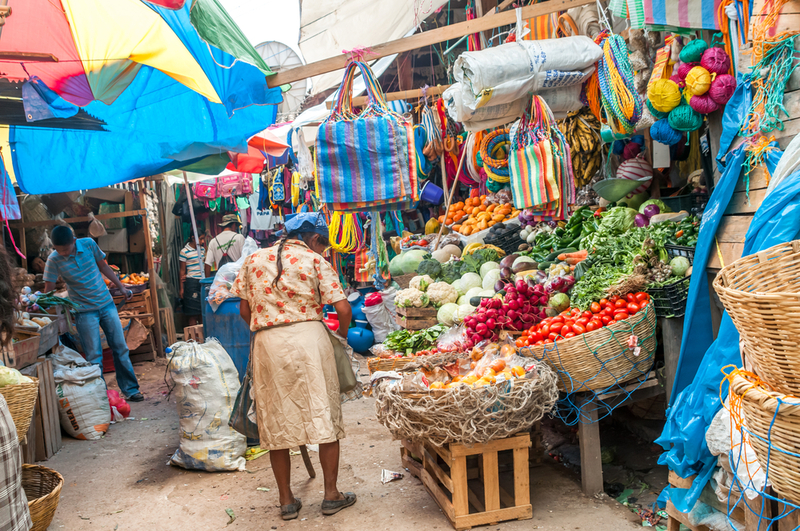 Among the commoners who grew crops like manioc, corn and beans, rose an influential elite class which resulted in an overall higher standard of living. Here lived prominent astronomers, mathematicians, scholars and scientists, and is essentially what made Copan infinitely important to the history of the Mayans. Most recent studies suggest that with the collapse of the empire and the disintegration of the elite and royalty (probably due to internal conflicts) it is highly likely that Copan was not totally abandoned at the time of the collapse. The farmers, it now seems, stayed and lived in Copan for quite some centuries thereafter. Research and work at Copan are ever-present, and it’s likely that even more will be known of this site and its people in years to come. Mayan ruins in Copan. Photo credit: Shutterstock. Framed and traversed by luscious forests, it is small enough not to be too overwhelming yet large enough to be impressive. What was the heart and soul of the mighty Mayan Empire for centuries, is now Honduras’ UNESCO-listed crowning glory, and rated as one of the best preserved ancient cities in the world. Head in at 8am as the gates open and you could even have Copan to yourself or, at the very least, shared with just a handful of other visitors and a small colony of vibrantly coloured macaws. There’s much walking to be done here, but with so many walls, temples, sculptures, and tunnels to explore the hours simply while away unnoticed. 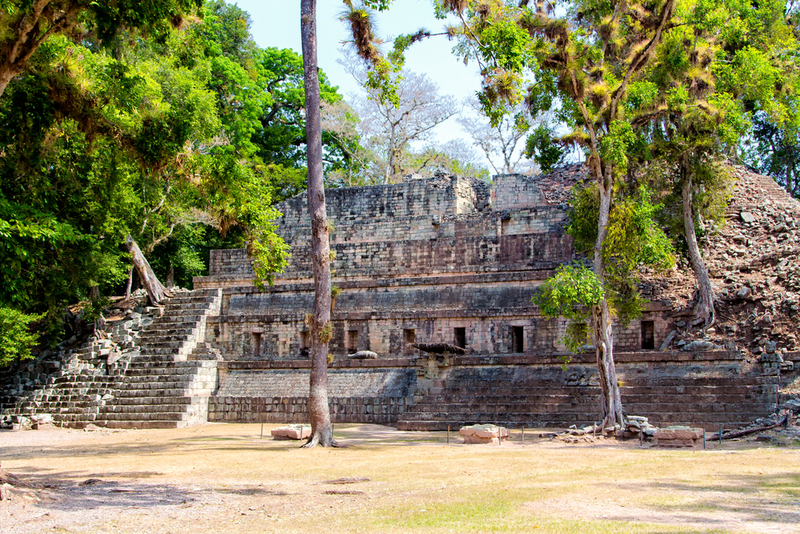 For history buffs this place is pure Utopia, yet with a thoroughly guided tour – for the rest of us who prefer to have stories narrated on site – Copan is just as rewarding. Whether as an invaluable introduction to your Mayan explorations at the start of your Central America tour, or as a fitting end to put all the puzzle pieces together, the ruins at Copan are essential for an in-depth understanding of Central America’s most prominent ancient culture. Besides, the small base town of Copan is a delightfully charming place in which to spend a night, and the proximity to other Mayan sites makes it a breeze to combine for one exceptional historical tour that’ll tickle all your fancies. So come on over! Join us on a spellbinding 5-day tour of Honduras and Guatemala or add a superb 3-day Copan extension to your Central America tour and you’ll really experience the very best of Mayan culture in one utterly unforgettable journey.